How many of you bake cookies for your friends and family for Christmas? 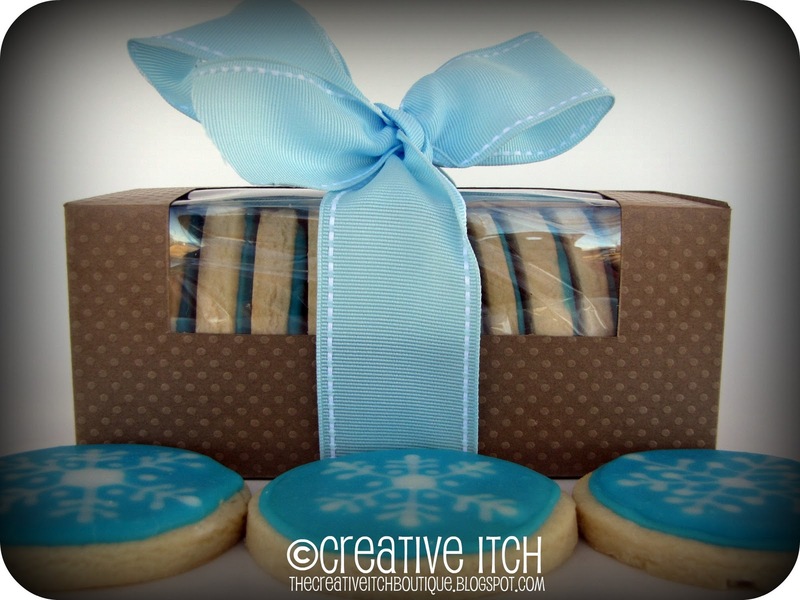 Instead of putting them on a plate wrapped in plastic wrap, why not present them in this adorable cookie box? I'm thinking I'll use these boxes for my homemade fudge too! You can find the Cookie Box tutorial HERE from Inking Out of the Box! You read my mind! I wanted to find a great box to send out my cookies in, and I didn't even have to google! 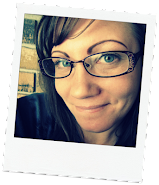 This is why I follow great blogs like yours- makes my life so easy. Thank You! I have been hunting high and low for a tutorial for all my cookie packaging. 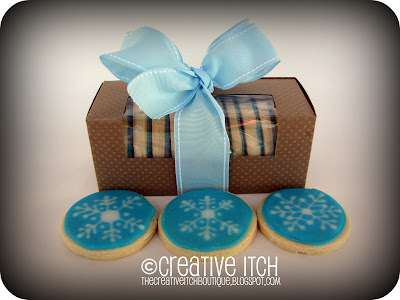 This will look sooo much nicer at the cookie exchange than a ziploc!! Much better than plastic wrapped plates! And those cookies look scrumptious! By the way, I found you through Allie's Free For All.